Publishing a point-in-time state allows you to obtain required database state and unroll specified transactions if needed. 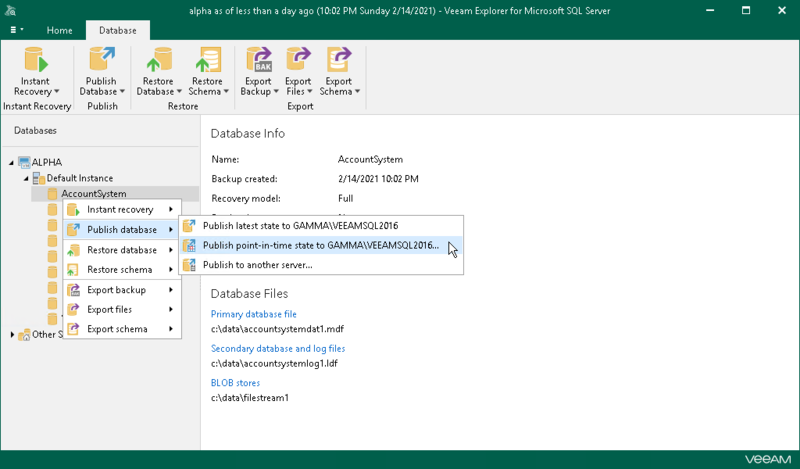 In the navigation pane, right-click a database. On the Database tab, select Publish database > Publish point-in-time state to <server_name>\<instance_name> or right-click a database and select Publish database > Publish point-in-time state to <server_name>\<instance_name>. Proceed to Specify Restore Point. Once completed, the database will be published with the same name as it was during the initial publishing session.